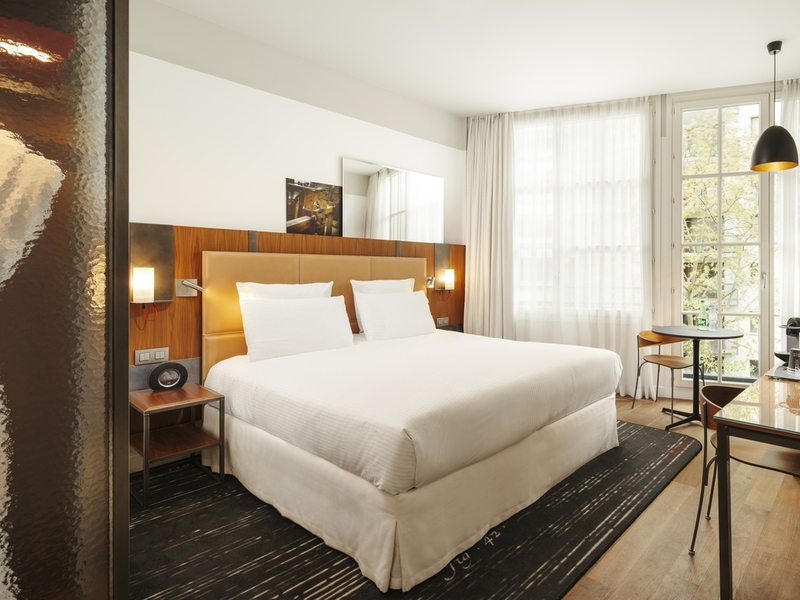 Located in the heart of the authentic Bastille area, close to Le Marais, this new 5-star hotel is housed in a building steeped in history: the Maison Boutet. An importer of exotic wood then a chocolate factory, the building retains its historical charm. 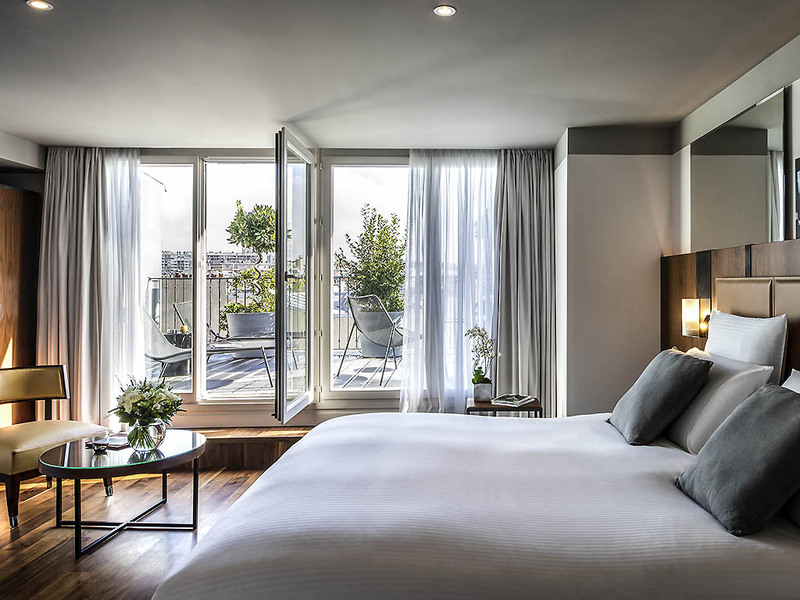 The 80 rooms and suites, 8 of which have terraces overlooking the rooftops of Paris, are unusual and individual and give the hotel its unique character. You will feel pampered at the SPA with 2 treatment cubicles, a pool, sauna, hammam and fitness room. The bar offers light snacks and chocolate treats in an inviting setting. The hotel also has a car park. Its minimalist styling combines the warmth of wood with unfinished industrial materials. You'll love our 80 rooms and suites, 10 of which include terraces. Unwind in the SPA or sample our signature hot chocolate at the hotel bar. 80 rooms including 13 suites..
Where an indoor heated pool, sauna, steam room, sensory shower and targeted treatments await. Succumb to the delights of a suite with a garden terrace overlooking the rooftops of Paris. The Teck and Ébène suites were designed by student architects studying at the École Boulle. 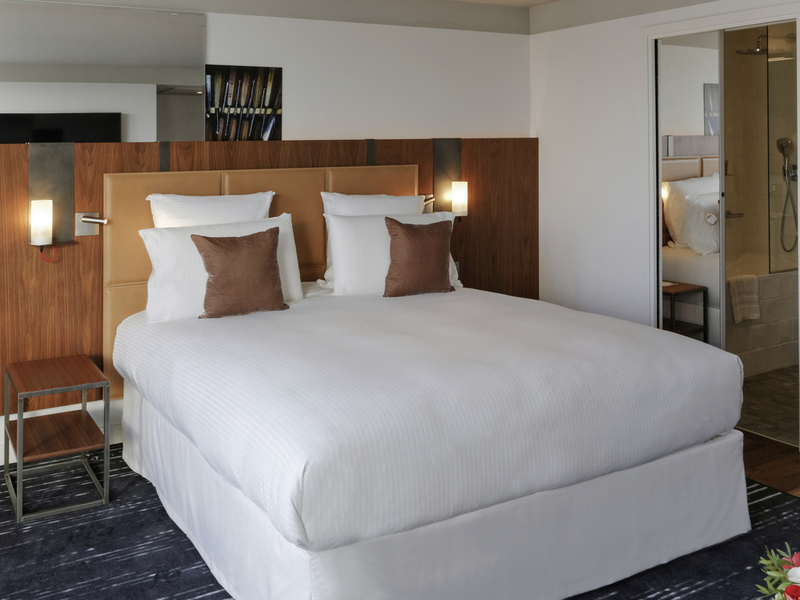 The hotel reflects an aesthetic universe, a style, a design, the signature of a person who inspired its vision. 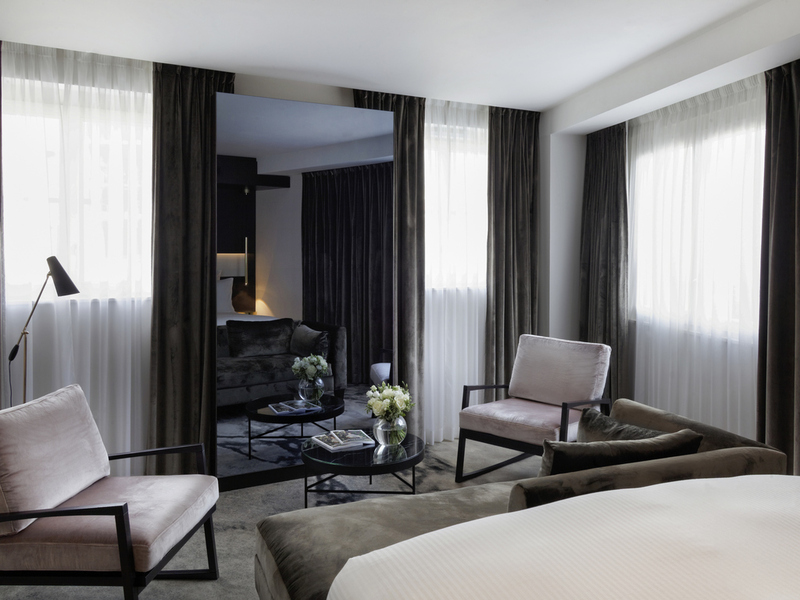 At the heart of Paris, Paris Bastille Boutet MGallery by Sofitel is intimately linked to the history of the 11th arrondissement. In 1926, Maison Boutet began business here, supplying artisans from the Faubourg Saint-Antoine with European and exotic woods. First a cabinetmaker's studio, then a chocolate factory, the building was a stage for everyday life in a neighborhood filled with artisans and industry. Opened in December 2015, MGallery Paris Bastille Boutet has retained the soul and charm of yesteryear. Prepare to be amazed by this 80-room boutique hotel and its resolutely industrial style. Choose one of two luxurious Signature suites and admire the imaginative design of architecture students from the famous École Boulle. Live a Memorable Moment by awakening your senses to wood. Melt for a Signature care with wood essences at the SPA, then enjoy a Rooibos tea at Boutet's bar. From the bustling Champs-Elysées to the more intimate Montmartre, Paris, the epitome of elegance, is in turn dynamic yet relaxed. Fashion, culture, gastronomy, sport, design... By day or by night, make the most of what French culture has to offer. 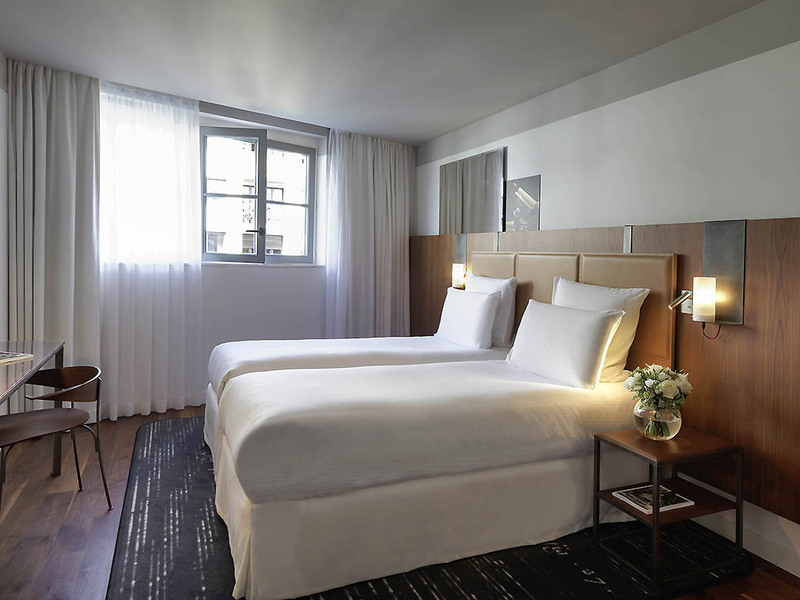 The hotel is situated in the center of Paris, in the Bastille neighborhood. From highways A1, A4, A6 and A10, head toward Paris Centre. From Roissy CDG or Paris Orly airports, take a taxi or shuttle bus. Just 0.9 miles (1.5 km) from Gare de Lyon station and 1.6 miles (2.5 km) from Paris Bercy station. By metro, take line 8 (Balard/Créteil) and get off at Faidherbe Chaligny. By bus, take line 46 (Gare du Nord/Vincennes) or line 86 (St-Germain des Prés/St Mandé) and get off at Faidherbe Chaligny. 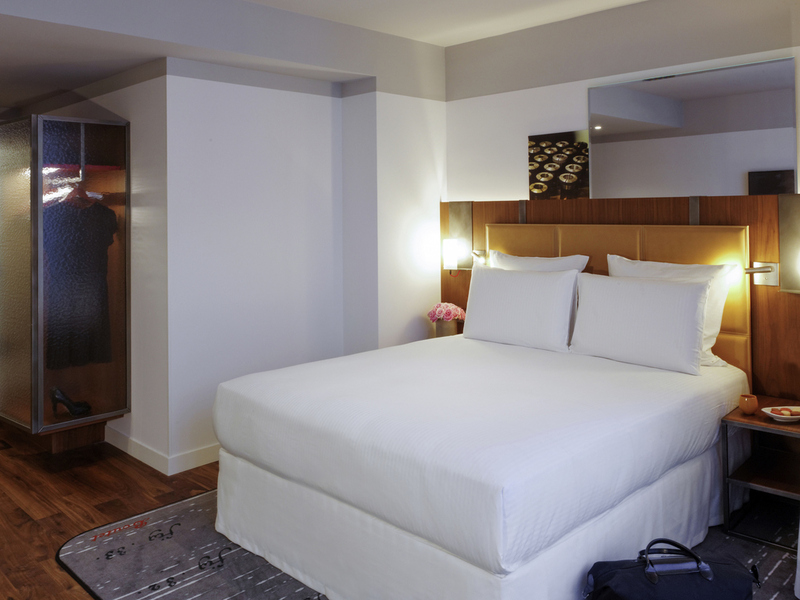 Our 80 rooms and suites are unique and exclusive, with warm and sleek wood interiors giving way to high ceilings bathed in natural light. For families, the hotel provides connecting rooms. Rise above it all and admire the City of Light from the private terrace of your Deluxe suite. 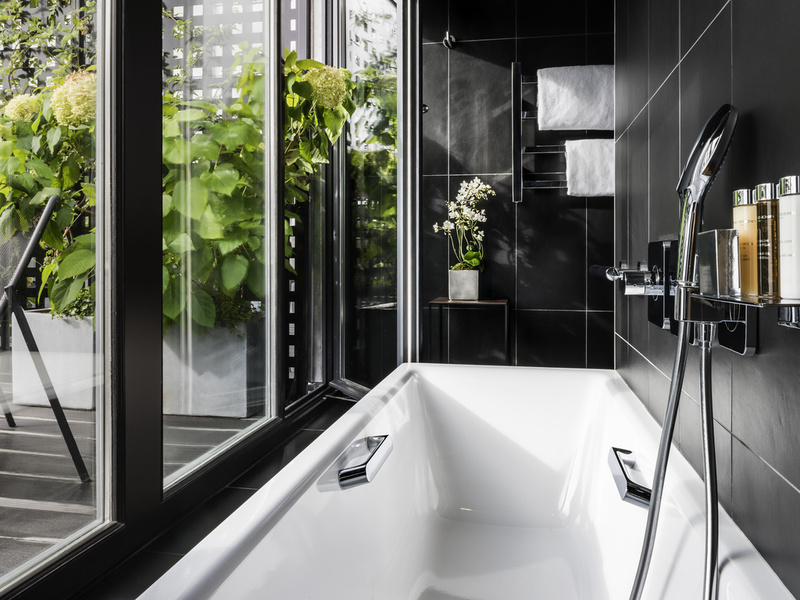 Relax in the steam shower before returning to your sitting area to savor a tea or coffee in front of the stunning view. For those looking for a unique experience, choose a Signature Suite, created by student architects at the Ecole Boulle college of fine arts and crafts. Let us surprise you! Superior Room with 1 queen-size bed. Room measuring 237 sq. ft. (22 m²) with free Internet, 48" TV, safe, minibar (charges apply), 2 complimentary bottles of water, tea and coffee facilities with Nespresso machine. Rain shower, Bluetooth docking station. Child policy upon request from hotel. 269 sq. ft. (25 m²), with free Internet, 55" TV, minibar (charges apply), 2 complimentary bottles of water, tea and coffee making facilities including Nespresso machine. Rain shower, JBL docking station. Contact hotel for child policy. 323 sq. ft. (30 m²), with free Internet, 55" TV, minibar (charges apply), 2 complimentary bottles of water, tea and coffee making facilities including Nespresso machine, rain shower or bathtub, JBL docking station, separate toilet. 323 sq. ft. (30 m²), free Internet connection, 55" TV, minibar (charges apply), 2 complimentary bottles of water, tea and coffee making facilities including Nespresso machine, rain shower or bathtub, JBL docking station, separate toilet. 377 sq. ft. (35 m²), free Internet, 55" TV, minibar (charges apply), 2 complimentary bottles of water, tea and coffee making facilities including Nespresso machine, JBL docking station, separate toilet, and 1 sofa bed for children. 430 sq. ft. (40 m²), free Internet connection, 55" TV, minibar (charges apply), 2 complimentary bottles of water, tea and coffee making facilities including Nespresso machine, bathtub and shower, separate toilet, JBL docking station. 431 sq. ft. (40 m²), free Internet connectivity, 55" TV, minibar (charges apply), 2 complimentary bottles of water, tea and coffee making facilities including Nespresso machine, bathtub and shower, separate toilet, JBL docking station. At any time of the day or night, treat yourself to a tasty snack or dish in the comfort of your room. Extra charge of 4 euros for the breakfast tray in the room. The bar offers cocktails, detox juices and a selection of "Boutet" hot chocolates. For dining options, a snack menu and light meals are available in a cozy and inviting setting. The cozy blend of wood, leather and metal inspires an irresistible gourmet break. For morning coffee, a light meal or a cocktail - the Bar du Boutet welcomes you all day. The SPA CODAGE welcomes you every day from 9 am to 8 pm. Enjoy the indoor swimming pool heated to 29°C, sauna, hammam, sensory shower, fitness room. Choose the Signature treatment based on wood essence for relaxation! Opening hours : The SPA is open from 9am to 10pm every day. 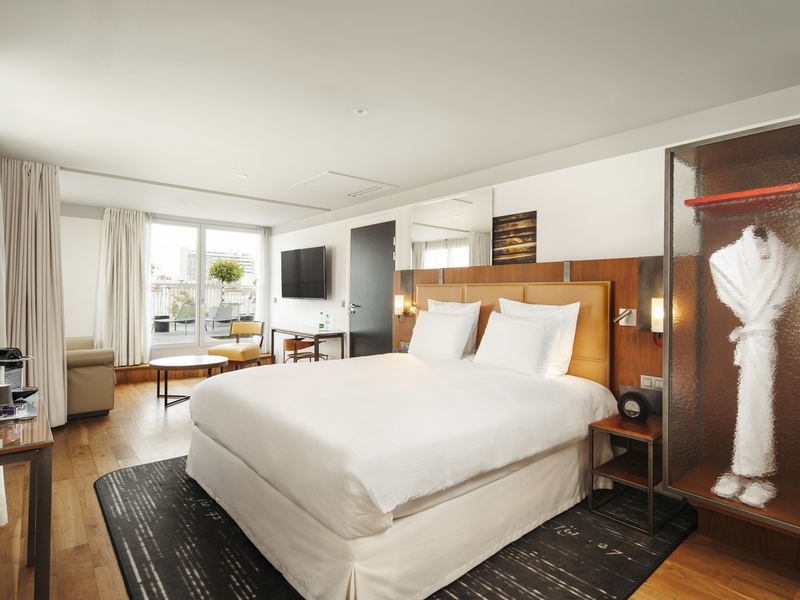 The Paris Bastille Boutet hotel is an exceptional place in Paris with a large number of services on offer for its business and leisure customers. Relax in the minimalist retro setting of the indoor pool, heated to 29°C and open every day from 7am to 10pm. Take advantage of the sauna, steam baths and sensory shower for a purely relaxing moment.